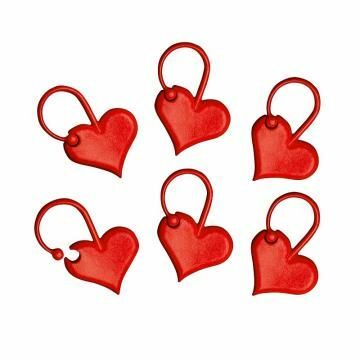 ADDILove - adorable heart-shaped stitch markers, a useful notion for knitters. These plastic stitch markers have a felixible opening so you can choose whether to slide them onto the needle or clip them in place. ADDI has put a lot of love and thought into these AddiLove markers to make knitting easier for you. 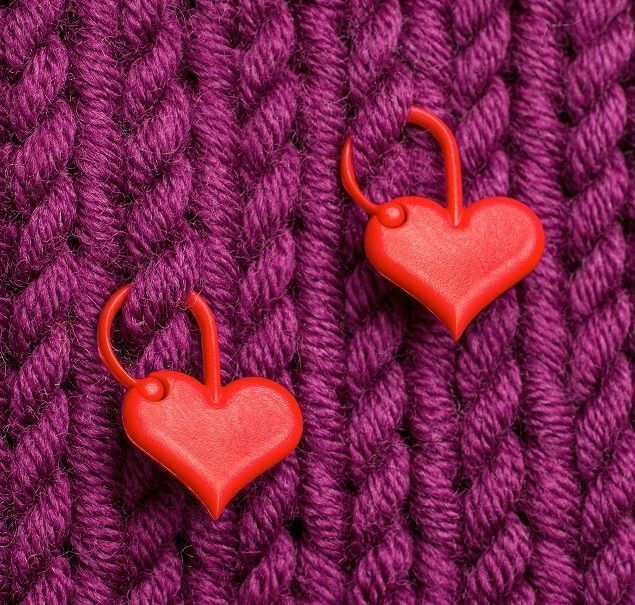 These little red heart markers may be placed anywhere you need them, to clearly mark your work as you knit. To help keep track of your pattern or to plan your work. You can mark the position of features and anywhere you need to work shaping: for heels, necklines, yokes or armhole placement. 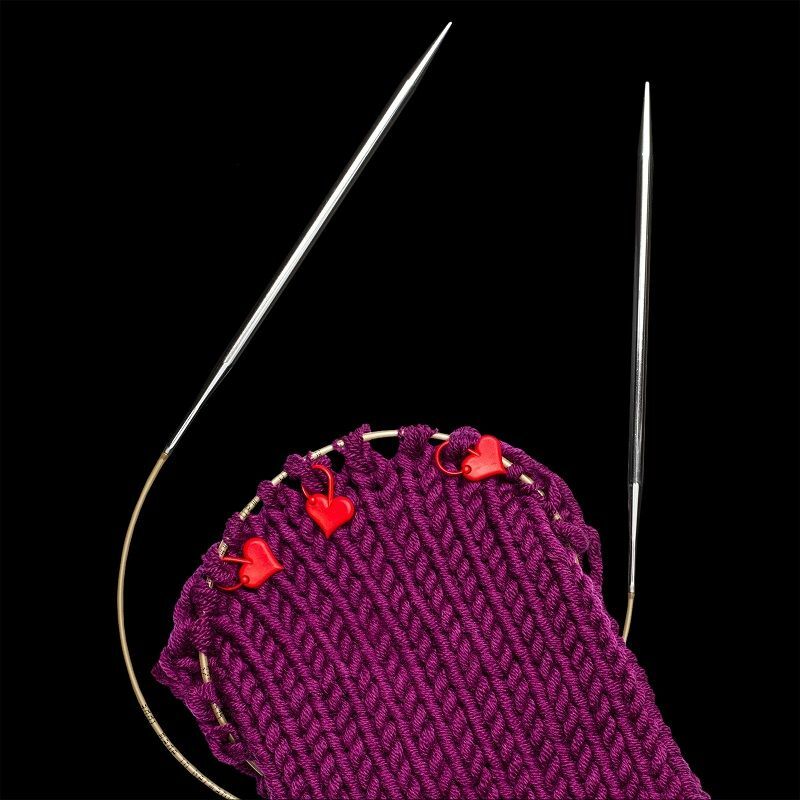 In circular knitting, placing a marker at the beginning of the round is always helpful! When knitting complicated stitch patterns which require counting or where you are distributing several different stitches over the row, as in cable knits. For marking short rows, where you are not knitting the whole row. Show love for your knitting with AddiLove markers!